Here's a quick recipe for a light refreshing cocktail that is perfect for outdoor entertaining around the grill. 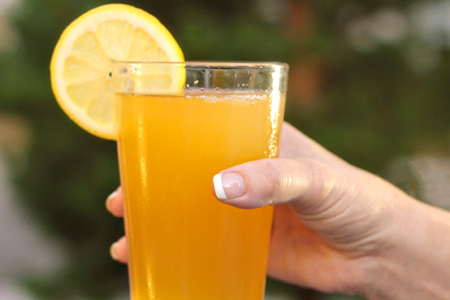 Muddle one slice of lemon and vodka, strain into a 16-ounce pub glass, add the beer and ginger ale. Yum! I'm def. going to try this! Thanks, Robyn! Please let me know what you think. Sounds perfect for those hot days when the lack of a breeze leaves you parched.